How to find TeeChart version number at runtime? I want to display the version number (major/minor/revision) of TeeChart in my app at run-time, but I can't find a function of macro that allows me to do that. Does anyone know a simple way to get this information at compile or run-time? 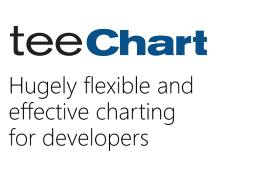 Re: How to find TeeChart version number at runtime? A perfect answer - thanks!